Politics & P2P: War on Terror? Why not a War on Weather? As we come up on the 8th anniversary of the 9/11 attack, there is a clear need to reflect on those past 8 years, and the effect that one event has had on not just the US, but on the greater world. Certainly, as an attack, it was devastating. 3000 dead in a single multi-faceted attack (19 hijackers, 2,974 killed, and 24 still missing). However, those 3000 have shaped foreign policy around the world, has spawned several wars, shaped governments, and in many cases massively changed countries. 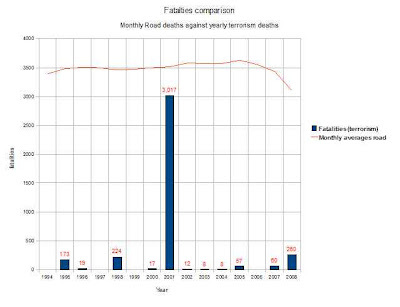 Each and every year, thousands more people are killed on US roads, than have been killed by terrorism. In fact, more people were killed, on average, in September 2001 on the roads, than in the 9/11 attack. It's hard to be specific about monthly tolls, since the figures are reported annually, but averaging it out, it's clear. 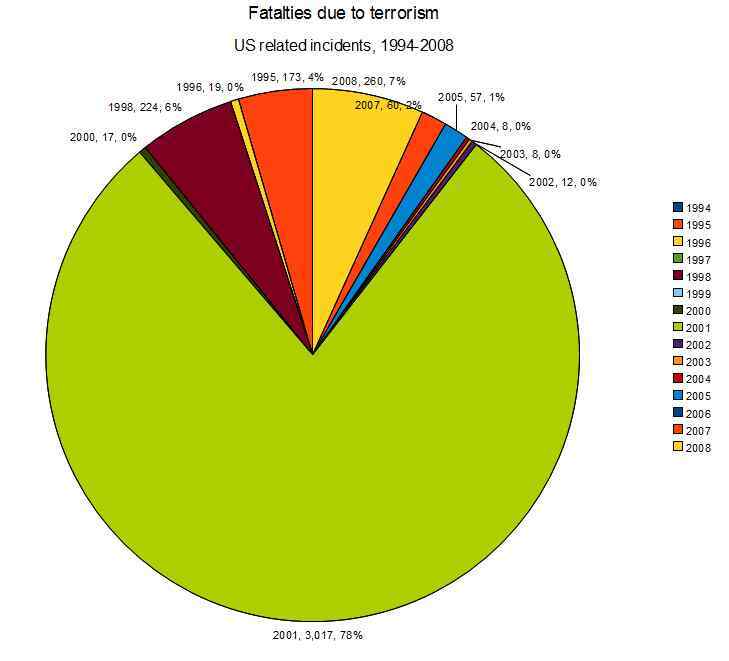 Further, if we use the whatever data available, to cover 15 years, back to 1994 (the last figure given in the FARS system) to list terrorist fatalities, trying to limit to US casualties, It comes to somewhere in the region of 3850, an average of 257 people per year. That is the impact of terrorism. Worse? NOAA gives the 10-year average of weather fatalities as 573. 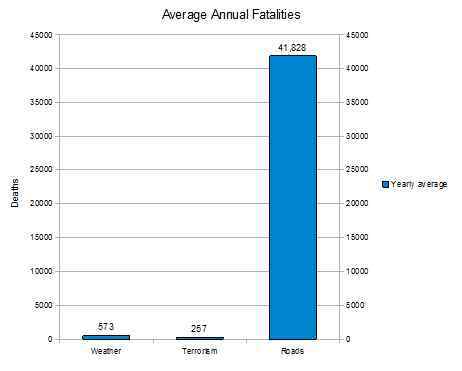 Mother Earth is more than twice as likely to kill you than terrorism. Are we going to have a War On Weather? Unlikely, and you'd be laughed at for saying so. 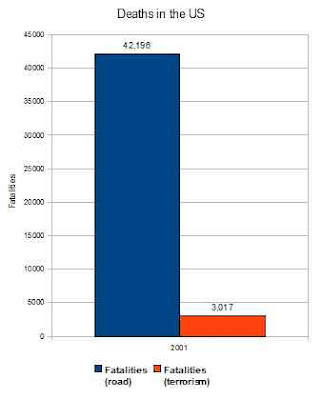 By the numbers, though, it's twice as sensible as a War On Terror.